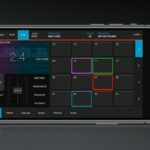 A number of live performers are moving to mobile devices, the Roland GO:Mixer Pro is the perfect live companion. 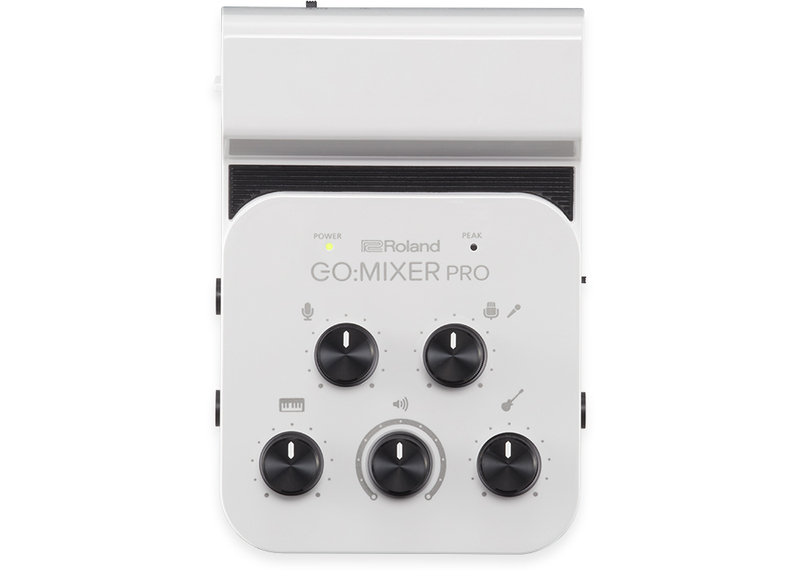 The new Roland GO:Mixer Pro is an updated version of there previous GO:Mixer unit with some exciting new features to make it a lot more usable for live and mobile recording applications. 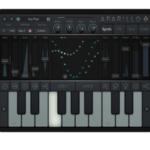 The idea is to be the solution for mobile live performers and musicians who need an interface between a mobile device like iPad, iPhone, Android and even Raspberry Pi and microphones and instruments. 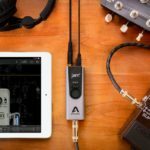 This creates a pretty affordable solution for location sound or field recording applications, as it also provides 48v phantom power for condenser microphones. The Roland GO:Mixer Pro features a “Loopback” on & off switch, allowing you to create multitrack recordings, and even a “center cancel” function which removes the center channel from the incoming audio, which usually holds the vocal – this is pretty cool for producers or remixers on-the-go. 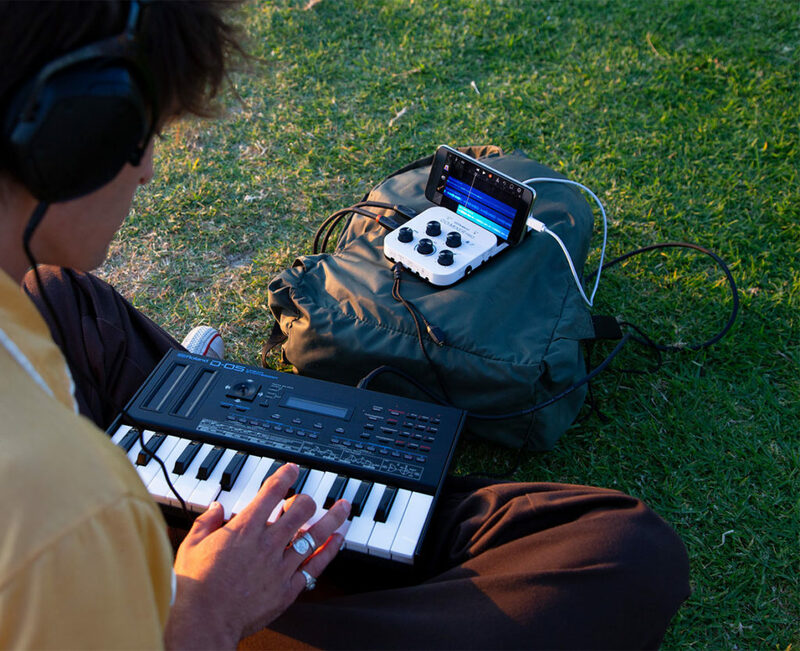 The battery-pack that houses the four AAA batteries needed to power the microphone input doubles as a nifty smartphone holder and furthermore the Roland GO:Mixer Pro can be used without batteries for use with a regular microphone or line inputs. 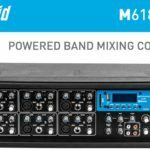 What all can be recorded with this mixer? 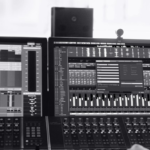 The new Roland GO:Mixer Pro has a variety of inputs for different sound sources, you’re able to record audio from synths and drum machines, guitar or bass, microphones and you have individual volume control for each on the front-panel. There’s also a headphone output on the unit, allowing you to monitor the audio before you start recording. The Roland GO:Mixer Pro comes with all the cables you need, for pretty much every device Lightning to USB Micro-B type cable, USB OTG Micro-B type to USB Micro-B type cable and USB Type-C(TM) to USB Micro-B type cable.